The White House has decided to release details of one of its most closely guarded secrets – the recipe for President Barack Obama’s home-brewed honey ale. 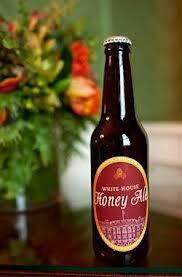 The beer is believed to be the first-ever made at the White House. The recipe was kept under wraps until 13,000 people signed an online petition demanding to know it, and someone even filed a freedom of information request. Barack Obama has been taking the beer with him on the campaign trail, and is said to be known to offer it to voters. For weeks, the White House had refused to comment on the recipe, but the secret was finally aired in a blog post entitled “Ale to the Chief”. The long-awaited special ingredients include: light malt extract, amber crystal malt, honey, gypsum, yeast and corn sugar. “With public excitement about White House beer fermenting such a buzz, we decided we better hop right to it,” says the White House’s assistant chef Sam Kass, who brews the ale. Although Sam Kass is the brewer, the White House stressed that it was Barack Obama who bought the equipment and pays for the ingredients out of his own pocket. There is also a video on how the beer is brewed. “God, that is one incredible beer, if I do say so myself. America I wish everyone could taste this but we don’t quite brew enough,” Sam Kass comments at one point. Cynics may say there is more than a bit of politics in the mix. One of the oldest political clichés states that people vote for the person they would most like to have a beer with – and Barack Obama’s rival in the November election, Mitt Romney, a Mormon, does not drink.